Thursday Evenings, 6 pm - 8:30 pm. 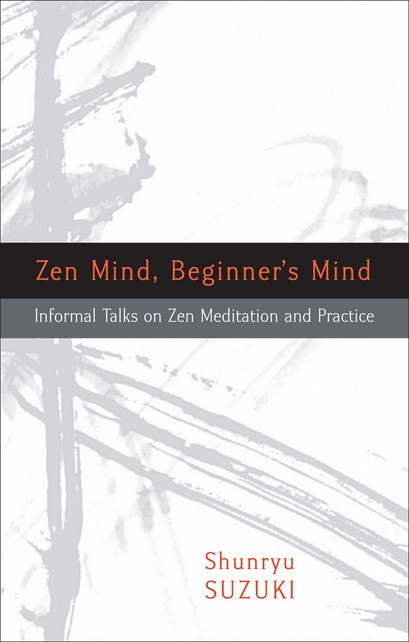 So begins Zen Mind, Beginner's Mind, by Shunryu Suzuki, founder of San Francisco Zen Center. Join us as we read and discuss this modern Zen classic. Thursdays at 6 pm, beginning April 25. A light dinner will be offered. Followed by zazen (sitting meditation) at 8 pm. Copies of the book will be available in our Jikoji Book Store. Join us as you can. Beginners welcome! More information. Sunday, April 28, 2 pm. April’s s Science & Buddhism Discussion continues our 2019 theme of Wellness when we look at Mindfulness of the Senses, and Intimacy with Nature. We’ll use Ben Connelly's recently published "Mindfulness & Intimacy” as a starting point, incorporating insights from Vasubandhu's "Treatise on the Five Aggregates." More information. Our "First Saturday" Zazenkai is a full day immersion into intensive, silent practice, deepening our Zen meditation. 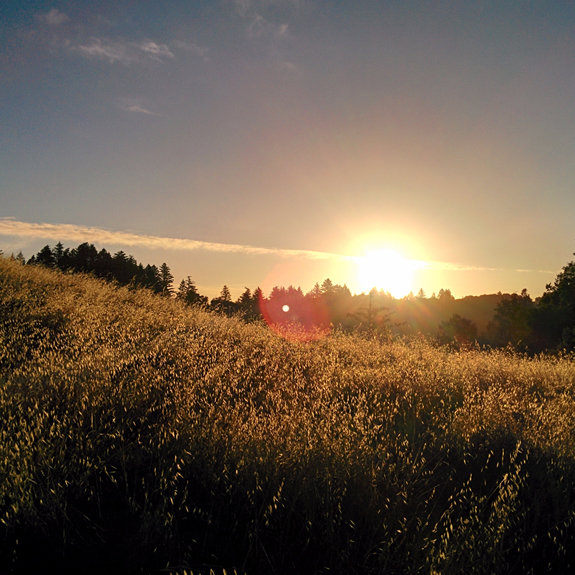 Sunrise Zazenkai begins with a gentle pre-dawn walk to the ridge top, where we'll sit outdoor zazen (sitting meditation) and help the sun come up over the Santa Cruz Mountains, before returning for breakfast and the start of our traditional Zazenkai schedule. More information. 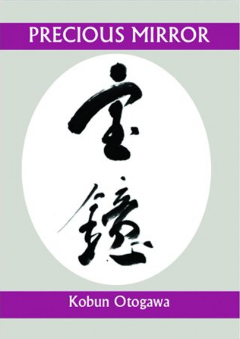 Precious Mirror combines Jikoji founder Kobun’s brilliant calligraphy with translations into English enface. Kobun was an instrumental figure in the transmission of Zen to America and its evolution within our culture. Although he initially came to assist Shunryu Suzuki at the San Francisco Zen Center, Kobun was enamored of the way Zen, unfettered, blossomed in new soil, and he followed it wherever it grew. For Kobun, Zen was not an institution, but the elemental nature of every aspect of our lives and existed in myriad forms. More information. Every Sunday. Our Sunday Program is a weekly Open House – a great way to get to know Jikoji and become familiar with Zen practice. 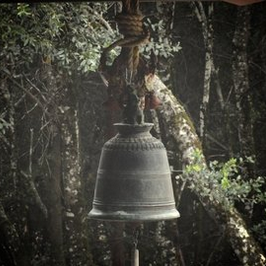 Each week, community members and newcomers alike join us from around the Bay Area for sitting meditation, a dharma talk, a social lunch, and the sense of community (Sangha). Beginners are welcome to join in meditation instruction at 10am before joining up with the regular program in the Big Zendo. All are welcome! More information. Whole-Life Buddha Retreat, Presented By Shogaku Zen Institute. Designed for differently-abled practitioners and all experience levels., the retreat will be taught by Zen Teacher Myoan Grace Schireson of Central Valley Zen, and President of Shogaku Zen Institute. More information. Join us as we spend the weekend honoring the memory of Jikoji founder Kobun Chino Otogawa Roshi. We begin Friday with a social dinner, then a walk to the ridge in appreciation of the Santa Cruz Mountains, so much a part of Kobun's vision for Jikoji. Our formal program starts Saturday with periods of zazen and readings from Kobun’s transcripts. More information.